Benjamin Franklin Summers (?) outside the Constable's Office in Newhall, at 105 Market Street, Phone 40. 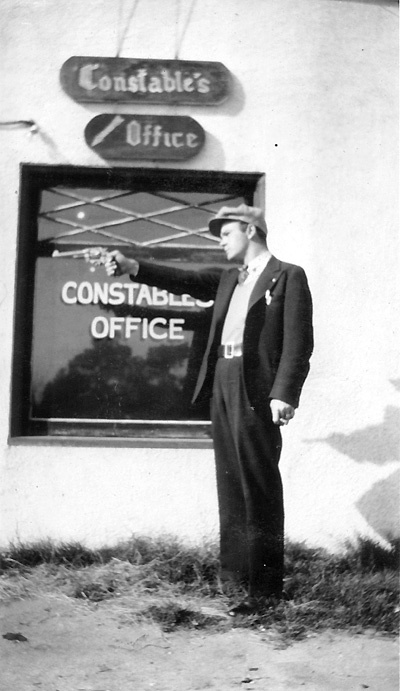 The constabulary was dissolved in July 1936 and constables were deputized.